Insurance for more than 20 million Americans. Guaranteed coverage without higher premiums for those with pre-existing conditions. This would affect the 52 million Americans, about a third of all adults, with pre-existing conditions. (There is talk of keeping this popular part of the ACA, but without the coverage mandates, it would send the health insurance industry into a death spiral with ever-increasing premiums to cover costs, leading employers and individuals to buy fewer policies). Caps on lifetime out-of-pocket limits. Preventive services like colonoscopy, mammograms, and contraception with no out-of-pocket costs. Closure of the “donut hole” under Medicare Part D. Beneficiaries will continue to pay full price for drugs once they reach a certain spending limit. The ability to cover children up to age 26 on their parents’ health insurance policies. Penalties for hospitals with high readmission rates. The Center for Medicare and Medicaid Innovation, which is driving significant changes in the healthcare system designed to improve quality and reduce costs. 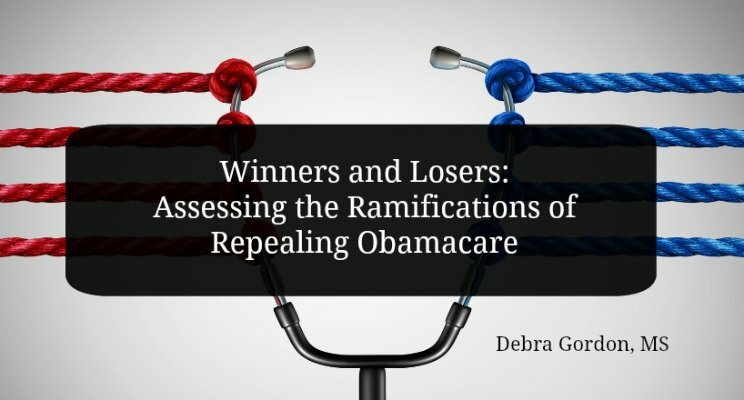 The medical-loss ratio, which requires that health insurers spend no more than 20 percent of the premiums they collect on non-health-related items, like marketing and salaries. Anything over 20 percent has to be refunded to employers and members. Since the ACA passed, insurers have refunded more than $2.4 billion to employers and individuals (5.5 million individuals). The reduction in health care spending increases seen since the ACA passed. Three million jobs. 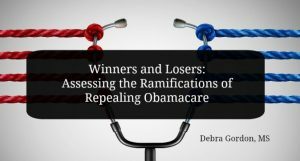 A new study from The Commonwealth Fund predicts that 2.6 million jobs (mostly private sector) would be lost in 2019 with repeal thanks to the $140 billion loss in federal healthcare funding to the states. Without a replacement policy in place, the researchers report, there will be a cumulative $1.5 trillion loss in gross state products and a $2.6 trillion reduction in business output from 2019 to 2023. Higher Medicare spending for the country and beneficiaries. The non-partisan Congressional Budget Office estimates that nearly half of increased Medicare spending over the next 10 years ($350 billion) would be the result of ACA repeal. In other words, repeal would cost the Medicare system an extra $350 billion. This will result in higher deductibles, premiums, and copayments under Parts A and B, which are tied to federal spending on Medicare. Increased costs for preventive services. A health crisis as millions of Americans lose health insurance. Employer-provided health insurance for some Americans. Under the ACA, all employers with 50 or more full-time equivalent employees must provide “affordable” health insurance. Higher premiums and deductibles for those with employer-provided health insurance. With no limit on out-of-pocket spending or ratio of premium to income, employers can pass more of the cost of health insurance onto their employees, resulting in higher premiums, deductibles, and copayments. Lower healthcare costs, premiums, and out-of-pocket costs. Those costs were rising faster than inflation before Obamacare. All estimates find that the rate of increase will accelerate again with repeal. Newer Replacing the ACA: Will Health Savings Accounts Work?